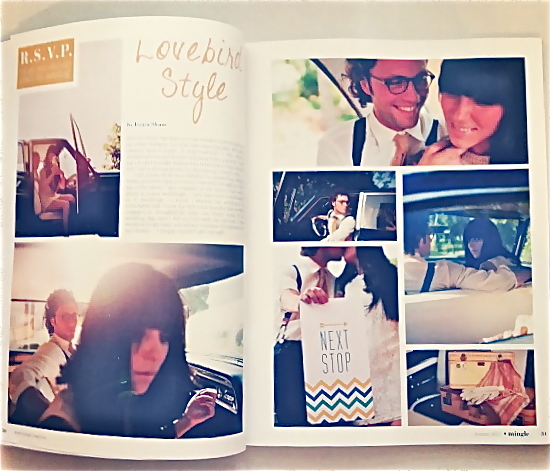 We are super excited to share that Lovebird Style has its own magazine article! 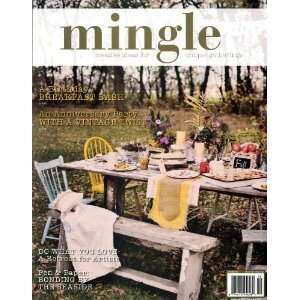 We were asked to write about how Lovebird Style came into existence for a magazine that explores unique and creative ideas for throwing parties called “mingle.” Mingle is a new publication by Stampington & Company, who publishes high-end arts and crafts magazines. All of Stampington & Company’s magazine covers are made of matte artist paper, so they appeal to the crafty reader. We’re so honored to be featured under “blogs to follow” and would love for you to check out our 6 page spread! You can purchase the magazine at your local Barnes and Noble, Lowes, Whole Foods, Michaels, JoAnn’s Fabric or online at Amazon or Stampington & Company. Images featured in our magazine article were taken by Souder Photography. Hey! I totally fell in LOVE with that shoot, and didn't realize you were a part of it! This is one of the most beautiful couples I've ever seen and was terrifically styled. We actually considered contacting them or the photog to see about buying the photos at one point to use as our new logo. GORGEOUS!